Figure skater reprises routine for fan event. 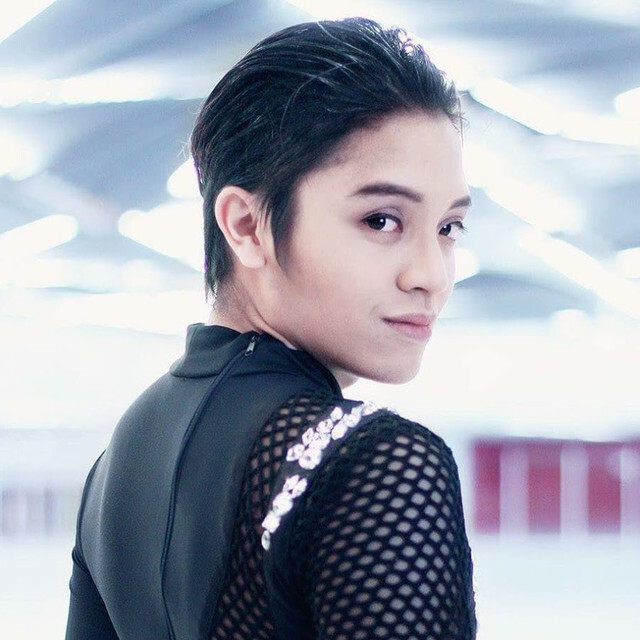 Joel Minas, the figure skater from the Philippines who performed "Eros" live on YouTube, has been at it again -- and not only do we have more video of his work, we have more information on him and his career! "More than an amateur figure skater, he’s actually a retired competitive figure skater. He was the 2010 Asian Junior National Champion and a member of the Philippine National Figure Skating Team, garnering 30 gold medals, 8 silver medals, and 5 bronze medals during his competitive career." The event was held at the SM Megamall Skating Rink, an Olympic-sized rink in the Philippines. For this iteration of the routine, though, he was decked out in full costume, with hair and makeup! Thanks very much to Minas for sharing his video on his channel, and for Trisha for sending along the tip!